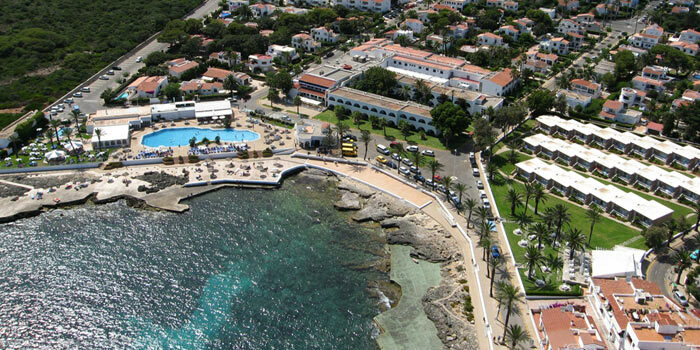 The S’Algar residential estate is one of the most relevant tourist centres of the island. It is located on an outlet along the south coast of the island. The presence of sand over its rocky coastline has allowed it to be enjoyed for sunbathing and swimming in its crystal waters by the construction of concrete platforms packed with hammocks(eighty metres long and twenty metres wide). This area is set aside a promenade lined with palm trees. We can make an excursion from S’Algar to the next door cove of Rafalet; one of Nature’s gems where an exceptionally beautiful gorge runs out. S’Algar outstands for the many nautical sports to be practised along its coast, as well as its sports grounds and the complete structure of tourist attractions. 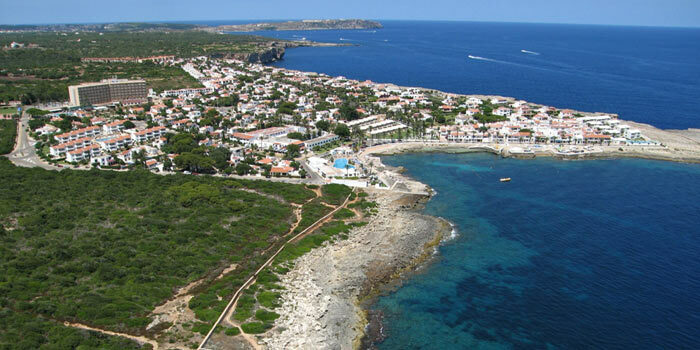 In order to reach S’Algar, we must get to Sant Lluis and after crossing the town we will find a roundabout called Sa Pau, where we will see the indications leading to the south coast beaches.